One “straight to flyable” ship – the Anvil Valkyrie, a dropship that allows players to easily deploy ground troops or vehicles across large distances. This ship marks one of the first times Star Citizen players can obtain and fly a ship, immediately upon announcement. One new gun, the Kastak Arms – Karna, a powerful assault rifle with charged shot capabilities for extra firepower and two new ship weapons from Hurston Dynamics to give players even more dogfighting options. Beyond these new additions, the next stage of the game was teased as 3.3 also features an addition to Star Citizen's framework that has huge implications on the future of the ambitious project. That addition is the Object Container Streamer, something those following the game closely will be familiar with. For the uninitiated, this processing tool positively impacts the experience of players by controlling how much of the Star Citizen universe is loaded by the player's CPU. It was instrumental in the new planet and city shown during the keynote, but increases FPS performance on PCs up to 100%. 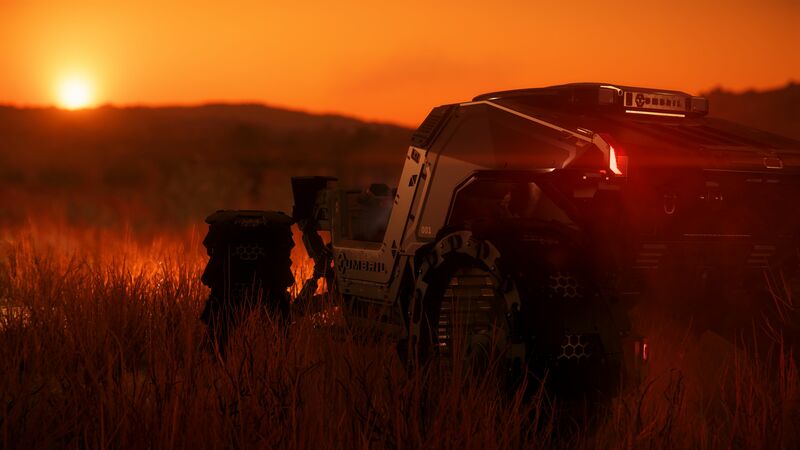 Planet Hurston and Lorville, the planet's main city, will launch to backers over incremental patches. Another addition is the Face and Voice over IP feature that allows players to connect webcams and control their avatar's facial expressions. This feature is available to all players in the Star Citizen persistent universe. Read up on Star Citizen director Chris Roberts' statements on the game's economy and stay tuned to Shacknews for additional updates as CitizenCon 2018 continues. I backed it a long time ago. I never really launched it because I was waiting for the "game". When does that come out? I don't believe a date is coming today, but...stay tuned. As of this evening, the PTR with 3.3 has still not been opened up to backers. What?! Do they think they can just string people along with false promises??! I mean, how long do they think they can get away with this? Like, maybe 5-6 da...................................................years? Well, they just changed their message from everyone gets to play today to invites are going out in waves, with the first ones going to people attending CitizenCon and people who've subscribed to their Twitch channel. So, yeah, I guess they can.